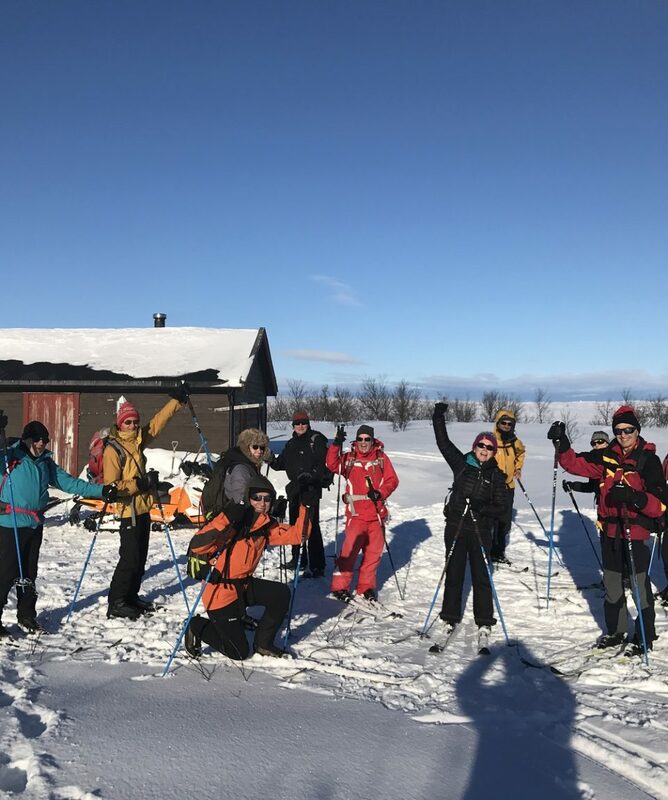 All about the Skiing Expedition from Finland to Norway 15.04.-22.04.2018. 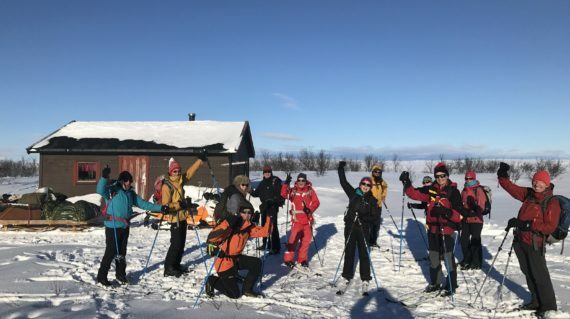 Welcome to this great cross country skiing expedition through the Finnish and Norwegian Lapland – 170 kilometres – ending up at the northernmost cliff of the European continent – Cape Nordkyn. 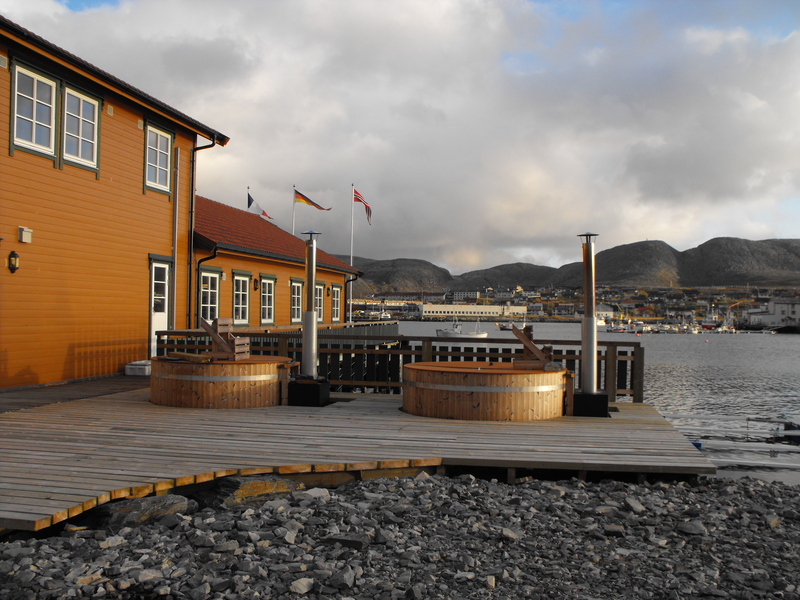 Position 71°08.00 Northern latitude. 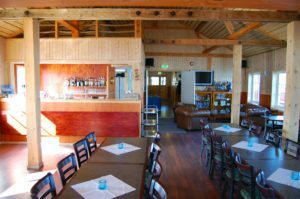 Experience the forests of Finland through the white desert of the Norwegian mountain plains and the panorama view of the Barents Sea! Luggage and food transported by our guide with snowmobile and sledge. The skiing guide takes you safely through this enormous mountain area. A good skiing technique is demanded to be able to follow the long day distances of this expedition. Daily distances varies from 25 to 35 kilometres. 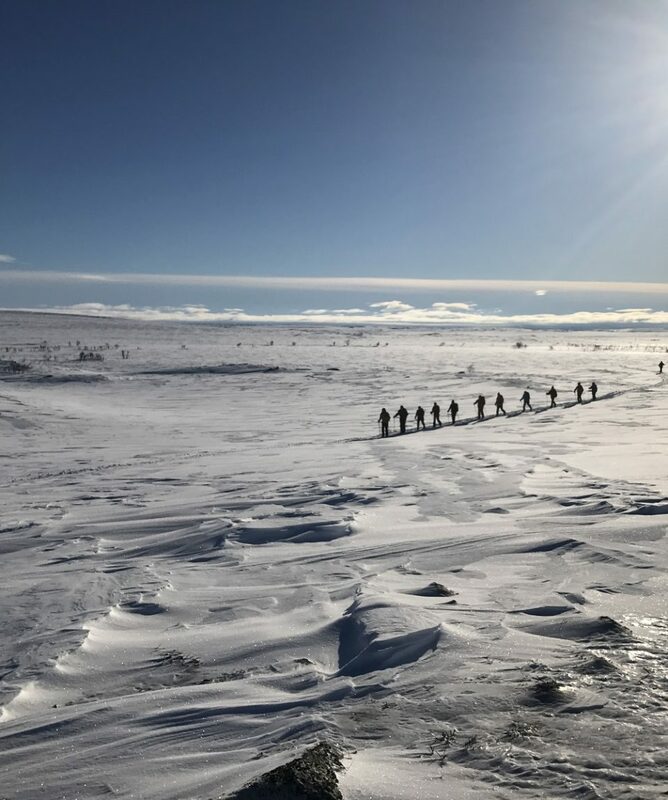 The temperatures, however, are not going to fall beyond -5c to -15c degrees but in case of strong winds or storms, the progress of the expedition can become very hard. Cross country skis, ski wax, (neverwax skis is a good alternative), shoes with covers, wind proof outer clothing, woollen socks, skiing gloves, extra mittens, extra fleece or woollen pullover, extra socks, sun glasses/cream, headlamp, sleeping bag, towell, soap, and alpine goggles. Personal equipment to be maintained and cleaned by yourself during the expedition; soup bowl, flat plate, hot drink cup, drinking glass, fork, knife and spoon. 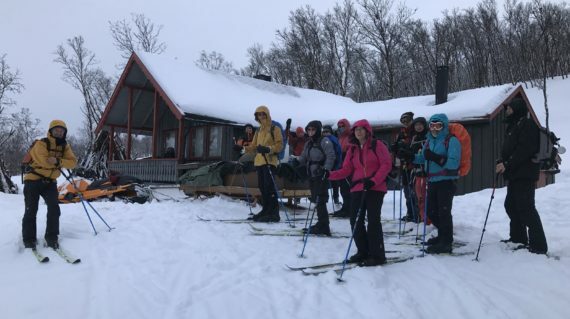 Cross country skis, sticks, shoes, alpine goggles, and sleeping bag can be rented from Nordic Safari AS. During the skiing day You can carry a light backpack with your personal small things needed for the day. Thermo bottle, chocolate, extra windjacket, camera etc. 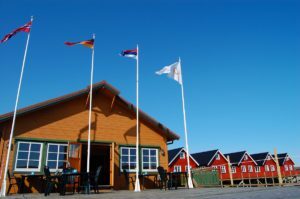 Transfer from Kirkenes Airport to the Starting Point in Nuorgam Holiday Center, accommodation, full board on expedition, transfers, guiding, and transport of the equipments as described in the program. 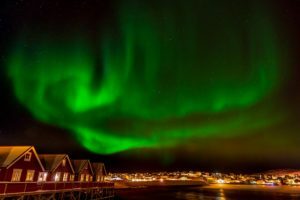 Hurtigruten ship tickets from Mehamn to Kirkenes. Arrival by plane to Kirkenes airport, Norway. Transfer by minibus, to the border of Finland at the border village Nuorgam, the starting point of the expedition. A good traditional dinner will be served. During the evening, detailed information about the expedition will be given. 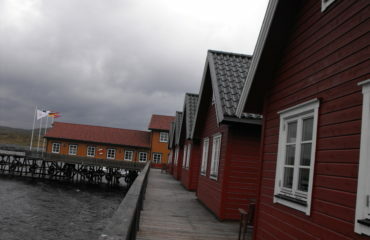 Welcome to Norway, the country of our Norwegian guide Vidar the Viking. He is leading us from the Finnish border to Finnmark (northernmost region in Norway). 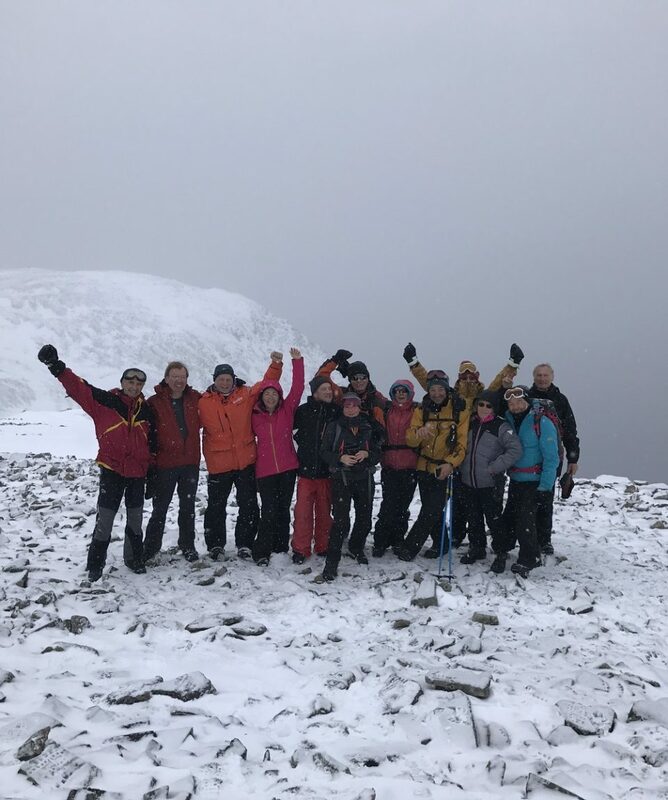 After having crossed the frozen river of Tana (altitude 57 metres), the journey will continue rising progressively between hills covered with birch forest, divided by a myriad of ice covered lakes before coming back to a open desert mountain area. Outdoor lunch or inside our sami tent if windy weather. After lunch we are heading for the sami cottage Dunkratt. Situated at the rand of the birch forest, the cabin of Dun Kratt (211 metres), rented from the local reindeer owners. Today, You will really explore the great, white desert, called the Ifjord mountain. Just white snow, absolute no vegetation as long as your eyes ever can see. After lunch, the terrain descend down to the Sami village, Sjåvatn. 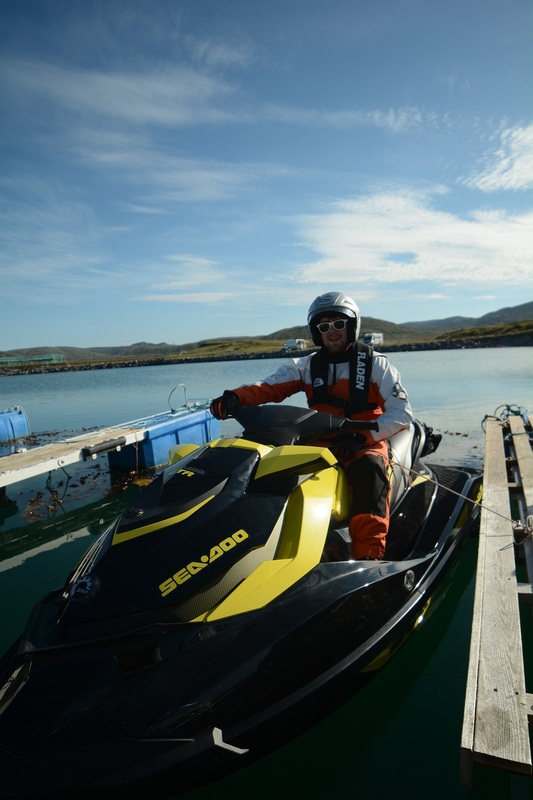 Car Transfer to Ifjord guesthouse. Dinner and overnight in rustique comfortable twin rooms. Showers available. From this day we have to be prepared for the risk of stormy weather will increase as we approach northwards to the coast of the Barents Sea. This day will be one of the most varied of all. We will climb small mountain tops, descend down long valleys. Skiing down the ice covered Laggo river. The frozen path of which we will follow until the Barents Sea welcomes us with the fjord of Langfjorden. 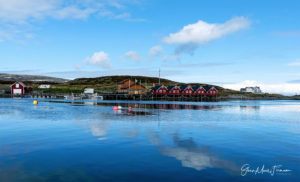 The sight of Laggo, a small harbour, is fascinating with the first discovery of its amazing connection between the ocean and snow. 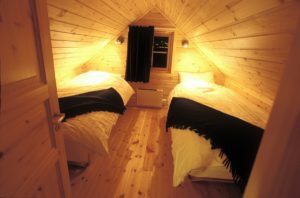 The night will be spent in countryside cottages equipped with sauna and shower. Today we are skiing along the beach of the the Barents sea. 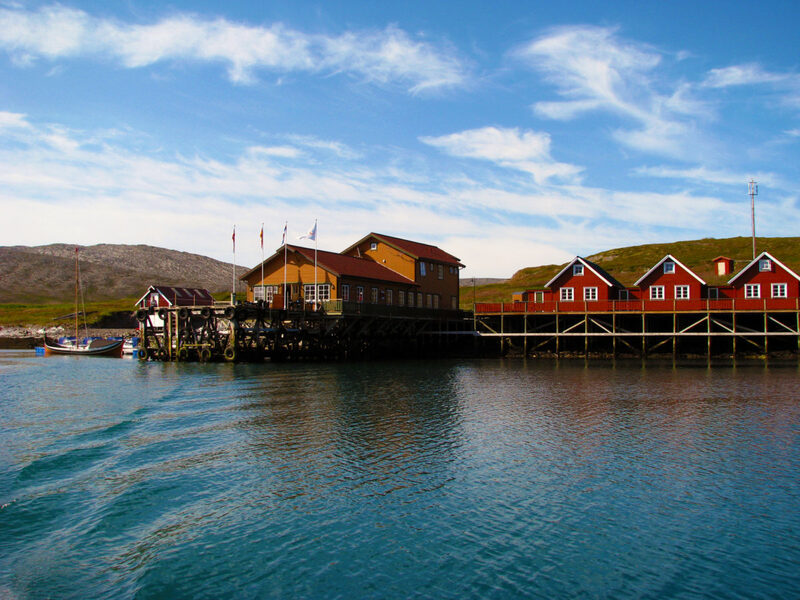 The short 600 m. wide izmuth that connects the Nordkyn peninsula to the mainland. Lunch in Sami tent before descending down the valley to the sealevel. We start the uphill from Hopseidet enjoying the great panorama view of the two fjords Eidsfjord and Hopsfjord at the same time.Well up at the mountain planes again we follow the old telephone line towards Mehamn. The last part of the route we will do in the minibus down to Adventure Camp Mehamn. Dinner at Adventure Camp restaurant on the pier. Depending on the weather conditions we start out in the morning, heading for the great goal of the expedition – Cape Nordkyn! The nature is wild and we have to cross valleys, climb small mountain tops and descend steep hills, on the way out to this majestetic cliff, surrounded by the Barents Sea on all sides. 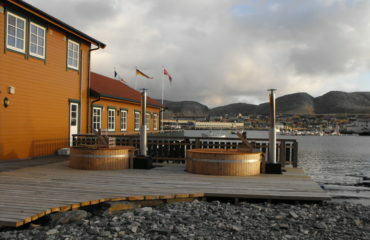 Finally we reach the Cape Nordkyn, facing the Barents Sea. A memory for lifetime! We will return to Adventure Camp Mehamn, assisted by the service snowmobiles, pulling us by ropes half way of the distance. 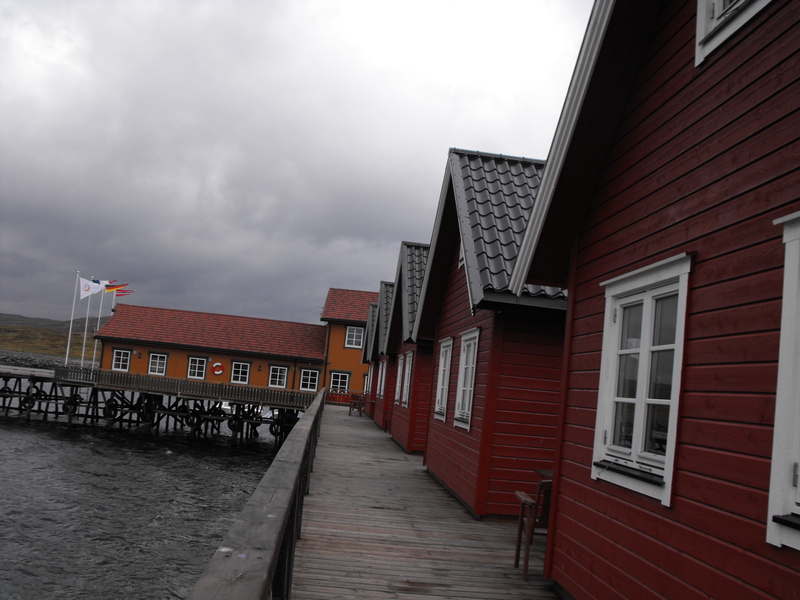 We enjoy a comfortable shower and sauna, sniffing at the atmosphere of Mehamn fishing village. Dinner at the Adventure Camp restaurant. 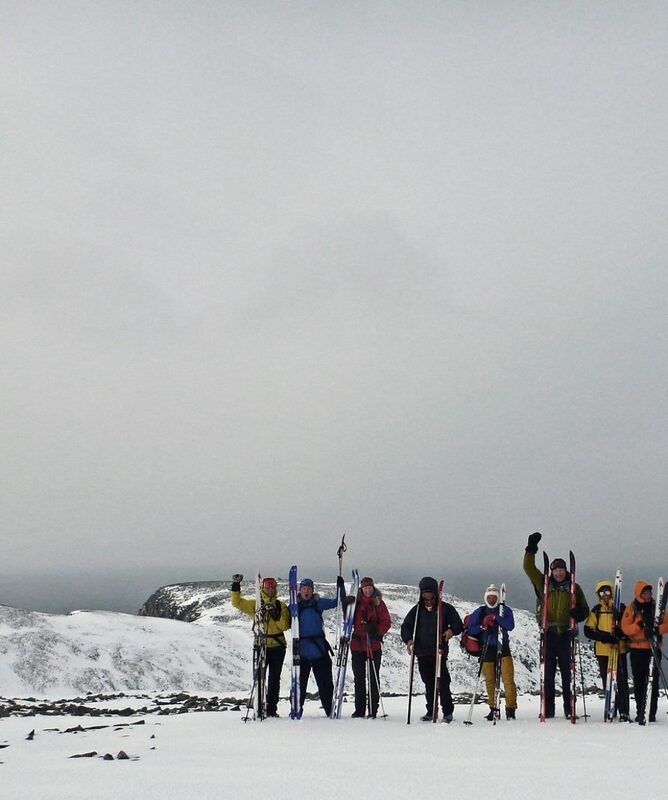 This expedition goes in the most weather extreme area of Europe. Snowstorms can delay us for hours or even one day. To insure that we really can manage to reach Cape Nordkyn, we reserve this day as an optional day in case storms make it impossible to reach the cape or delay us earlier in the week. 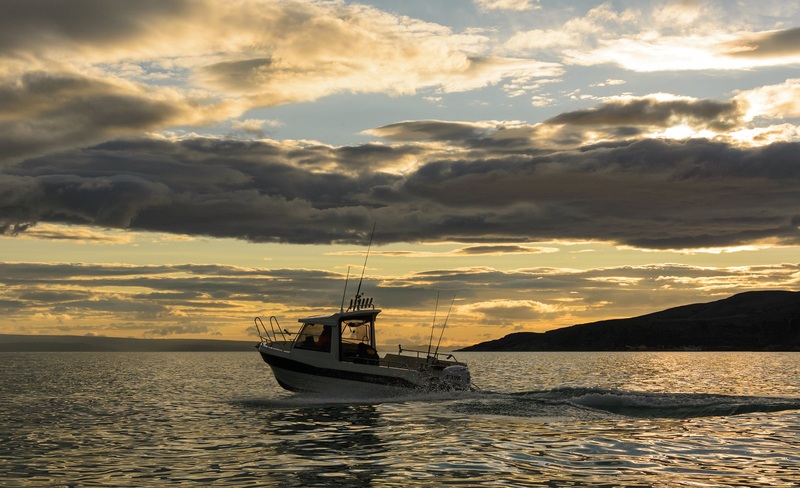 During the night, we are cruising along the coast of eastern Finnmark, visiting 3 fishing villages and the capitol of Finnmark region, Vadsø City. 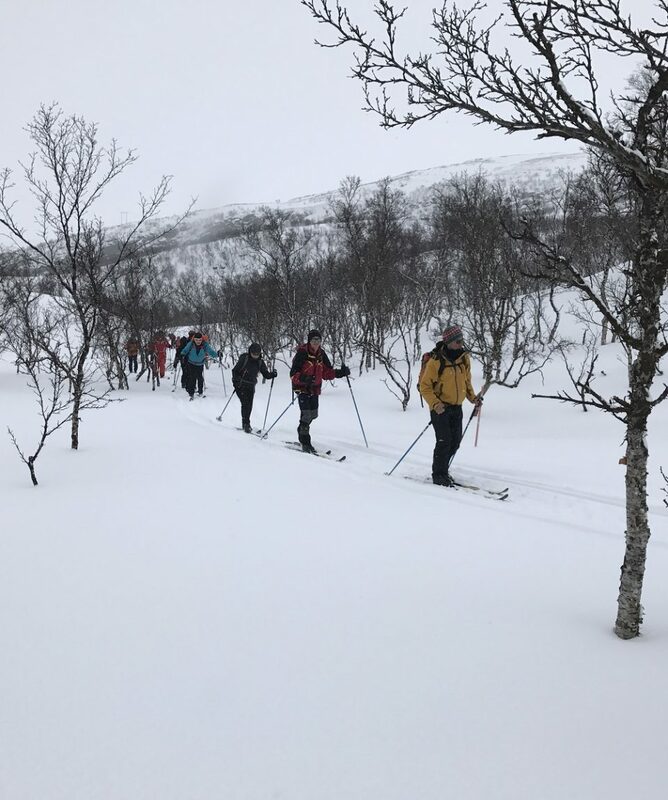 Welcome to join us for this unforgettable skiing expedition through the most beautiful and extreme nature in the northern Europe! 10 – 12 person groups. Max 12 participants. 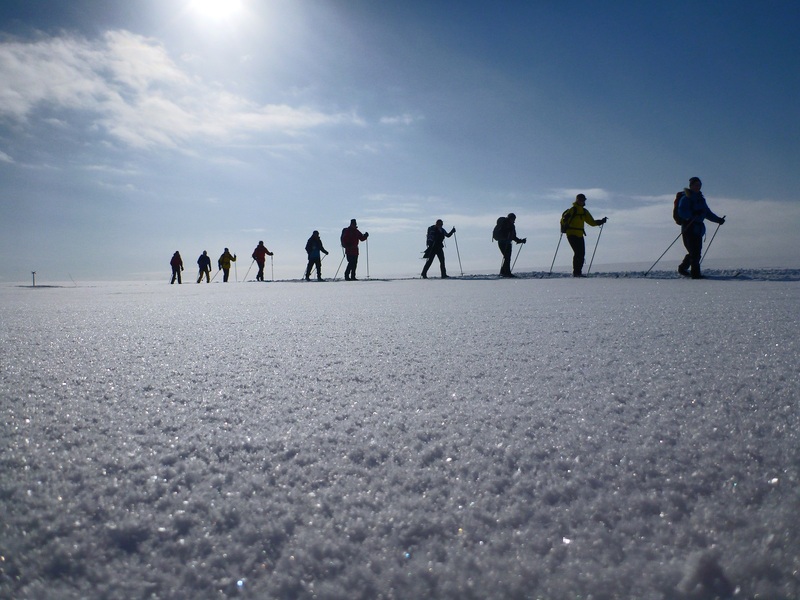 A good skiing technic is demanded to be able to follow the long day distances of this expedition. Daily distances varies from 25 to 40 kilometres. The temperatures, however, are not going to fall beyond -5 to -15 degrees but in case of strong winds or storms, the progress of the expedition can become very hard. 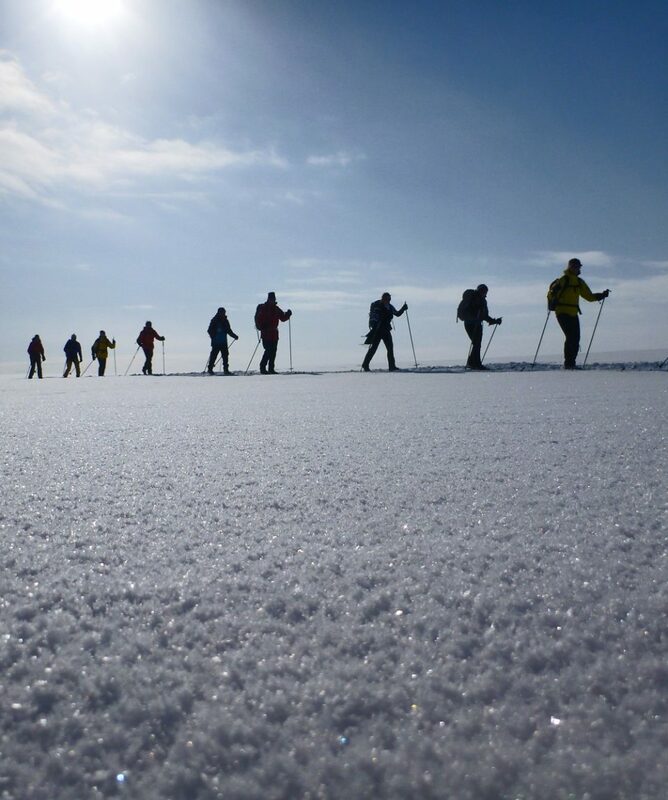 Cross country skis, ski wax, (neverwax skis is a good alternative), shoes with covers, wind proof outer clothing, woollen socks, skiing gloves, extra mittens, extra fleece or woollen pullover, extra socks, sun glasses/cream, small torch, sleeping bag, towell, soap, and alpine googles. 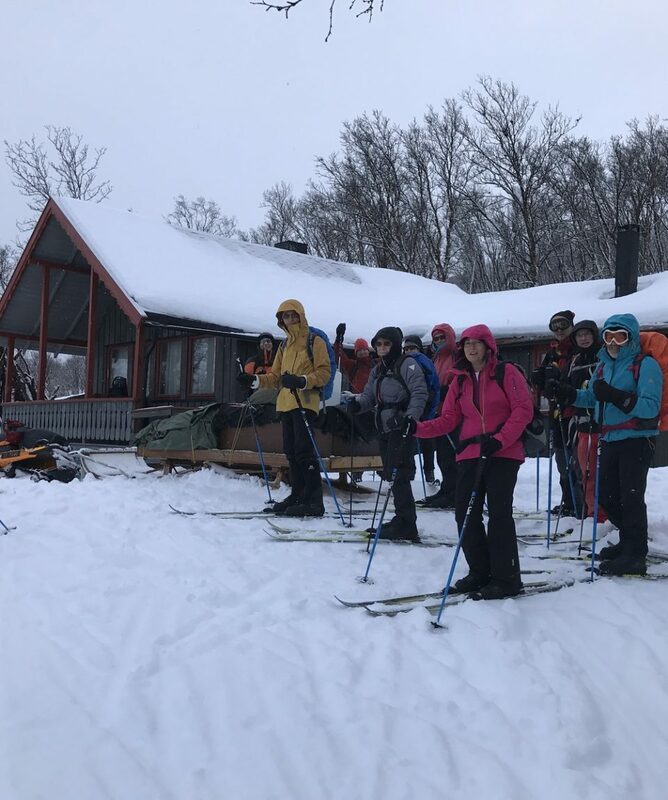 Cross country skis, sticks, shoes, alpine googles, and sleeping bag can be rented from Nordic Safari AS. Bring personal luggage in a solid bag. Max weight 15.kg. 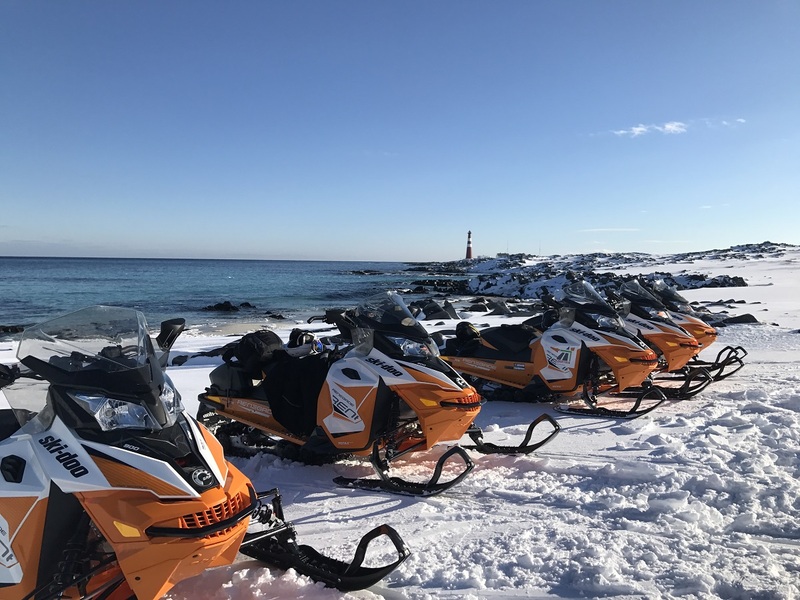 The luggage will be transported on the sledge of the service snowmobile to each overnight cottage.